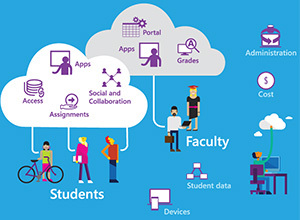 Genius EduSoft has countless unique features and functionality, which will embrace your handling methodology with one touch digital experiences. It has classified features for different kind of users like Teachers, Students and Administration. Enhancing the management growth with customized dashboard, entities, and modules for each user. The system administrator of Schools and Colleges have large number of data of students and staff, which make it very complicated to organize and manage. 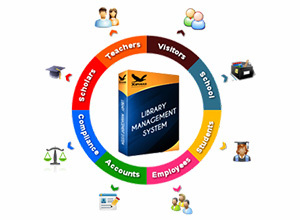 Genius Edusoft provides digital admin system that can be used in Schools / College / Universities. It can be very helpful in making decision on the basis of collected bulk information from the institutes. They are used to supervise and monitor the performance of all the student's through daily reports and academic management module. It provides different reports to staff and parents respectively. The administration will have a record of all the student's data including their full name, address and parent's information along with the emergency contact numbers. Similarly, the institution should have the employee's detail information. Previously, they used paper-based index system to store their employees details. But now, Genius Edusoft have changed the concept of paperwork. 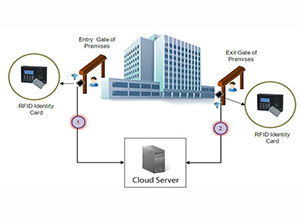 It stores their full details in database system with efficient retrieval system for the same. Managing the hefty data of Schools is quite difficult because the population of schools keeps on changing every year, as the young students comes and older moves on. In this module, admin can create and add Employee name, code, Mobile number in which department's staff are allocated to work, also from here admin can assign and manage their current position. The new employment form with all the information of the new employees or teachers will be added in the system form, which will contain personal details, contact details, academic details, professional experience and details with previous employment informations. This will give all the staff working in the Institute list, that is employees list with their name, code, department, designation, contact number and employee's image. In Finance Management, it refers to the management of a money in such a way that it accomplish the main objectives of the Institute. It is the specialized function directly associated with the top management. The significance of this function is also in the capacity of the 'Staff' in the Institute. In Genius Edusoft interactive mobile app, Admin can track the transportation vehicles. Transportation Allocation : This list will provide the allocation of institute transport vehicles. 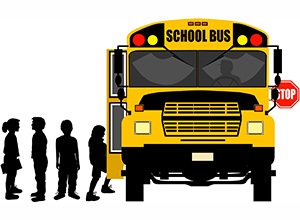 Admin can assign the different transportation vehicles according to the student's address and destination to pick and drop the students accordingly. The route and destination will show the transportation allocation of the different groups of students living in the same area or in the nearby locations. This feature will help the admin in allocating the transportation efficiently. The admin can daily check and view all the details about people visiting the institute, Security Gate management will have all the details to be filled by the guest or visitor with their name, number, contact person, time in, time out with their signature in it, thus it will give the brief information about people visiting the institute. Also, the admin can add, change or view the Gate keeper details like their name, contact number, address, and profile image, which will inform the admin about people allocated for security purpose with in depth details about the security guards. Our Genius Edusoft ERP system will provide the unique feature of grouping the admin of the different Branches or Institute in the same head. This will help the main Admin to view, handle and manage all the other admin in the group that are working under the same Institutional name with different branches spread across all over the globe. The Genius Edusoft ERP system is developed by our skilled developers in such a way that it can be used internationally all over the world. 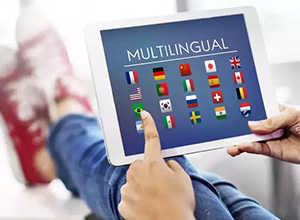 It has the features of changing into different preferred native languages. The user can use the Genius Edusoft ERP in any language that are supported by the system. In Multi currency layout, the user can add the numerical data in any foreign currency, also the transaction can be recorded with multi currencies. The Admin can view the profit and loss, balance sheet in Multi currency format, the user can change the currency according to the native language. Librarian can view, manage and handle all the items and their details of the library and keep a track of all the books that are issued. The librarian can collect the fine from users which (Students, Teachers and staff) can be charged on late return of the book. The Details of all the books like : author name, edition, price, etc can be stored in the Library Management module in Genius Edusoft ERP system. Genius Edusoft provides Cloud based Online Enrollment and Admission process for the students. The system will help the parents in efficient and smooth flow of registration of their children. The comprehensive student registration process will be managed by admin to handle and streamline the enrollment process for the same, it will provide online registration form for the schools / Colleges / Institutes to achieve the enrollment goals, and boost the student strength of the Institute. The parents can fill the Online Admission form for the enrollment process with all the student's personal and academic information, they need to upload all the academic certificates including school leaving certificate from the previous Institute and photos for photo identification proof. The admin will verify all the uploaded documents with the original copies, mark them as verified and approve the application for the further process, the parents don't have to go to the Institute to pay the fees, but instead they will get the online token to pay the fees through Genius Edusoft online payment gateway which will enable the fees payment process competent and hassle free. Our interactive Mobile app will provide the convenient access to student admission process form in iOs and Android devices which will help in better communication using email and SMS notifications, this will maximize and control the enrollment of the students. Thus, its main aim is to Save time and 30% admin cost of the Institutes. This module will reduce the manual paperwork and provide the easy and direct access to enrollment forms and data. It will certainly reduce the workload from management and staff members and improves the communication and efficiency. Institutional Settings : The admin have all the rights to change the institutional settings, he/she can change the generall settings of the Education system, like timezone, institute type, also can generate student and employee's credentials for the access of the system, the admin can also decide Exam board and Exam grading type. Similarly, the admin have all the rights to generate ID cards for different members of the institute like : Faculties, Students and other working staff. Institutional Details : In Genius Edusoft system, we provides the features of adding different branches in groups of the specific trust or the same institutes, if the institute have different branches with the same or different name, the admin can add all the branches of the institute in one group which will make it more easy to understand. Stream / Departments : The admin can add different streams and department that are available in the institute for the admission of the students, not only teaching but institutes have different departments like : HR, Computer lab department, Finance & Payroll department etc. Designation : This features helps the admin in adding and assigning different designations to different employees of the institute, admin can assign different designations like : Principal, Vice Principal, Teachers, Accountant, HR, Librarian, Lab Assistant, Security guard etc. Academic Year : By this feature, admin can add different academic years detail, about their active and inactive status. Thus, the admin can add the academic year start and end date along with its current status. Financial Year : Admin can decide the financial year period of the institute and can add the details of the same accordingly. With proper Start end and End date, admin can add the opening balance and closing balance of that particular year, which will give the brief understanding of profit and loss of the institute, also they can check the details of all the previous years to do the analysis of institute's growth and success. It will provide your institution better expansion and helps in building efficient flow of process, it will lead your administration to the form of simplicity and assist in transforming into digitized structure than the usual complex and manual paper work. Class & Section : Admin can add new class with class name, code and stream / department, it will also show the syllabus and student's strength of that class. Also he/she can add different sections for the particular class with total number of students studying in each section. Admin can also update and view the list of classes and sections of the students, they can see the Class number and the section in which students are assigned by either principal or by school Admin. Assign Class Teacher : The admin have all the rights to assign all the teachers for the particular Class and their sections, the teachers can view their allocated Class and section through their login, admin can also select the different Stream / Department when assigning the class and section to the teachers. Subjects : In subjects module, the admin can add subject code for individual subjects and according to the government board rules, he/she can also add the book prefered to read and the author of the book for the same, For the different subjects admin can assign subject code like : Chemistry - CHEM, Physics - PHY, Fine Arts - FIAR etc. If the institute decides to add more subjects in the specific or all the classes, the admin can assign and add different subjects for the particular class and sections. Similarly, he/she can also allocate the different subjects to the teachers, which will help them in understanding about what subjects they need to teach in the lectures, with stream / department, employee name, class and section. Syllabus : From this section Admin can manage the syllabus of different subjects of the classes, this will help them to schedule the classes and lectures to complete the syllabus of different subjects on time. Lesson Planning : Admin can daily Add new planning list of the lessons, this will help the teachers to know the subjects, lecture code and their allocated different lecture topics, this will enhance the speed of completion of syllabus with timely manner. Assignments & Notes : This module will help the admin to add daily, weekly and monthly assignments and Class Notes to the students, which will be uploaded by them using the interactive Mobile App by their mobile phones. They will upload the Assignments & Notes daily in the system which can be viewed from Desktop web system as well as Mobile App by the students. Similarly, students can check their daily assignments and Notes, with the class teacher's name who allocated the assignments & Notes and the last date of Submission of the assignments. Classwork & Homework : In our interactive mobile app the admin will help the teachers in uploading the daily class work / homework for their students. The students and parents can view the class work / homework assigned for every subject through Genius Edusoft Mobile app. This will help to those students who are absent on sick leave or any other reason. They can copy and complete their class work through the mobile app which will acknowledge the absent students about the day's class work and the given homework by their respective teachers. Certificates : Admin can add different Certification name which are available in the Institute, he/she can add Certification type, and also can create new Customised certificate according to the Institutes available resources, the admin can also generate result certificates of each and every student, which will contain the certificate in the name of student, year of completion, certificate issue date, certificate type with the academic year of that certification period. Circular : The system Admin can add daily, weekly and monthly circulars if there is any events, picnic or educational visits, they will upload the circulars to the system and from their students can view the circulars of specific date with the mentioned latest circular. Admission process : It will be initiated by the school admin. He/she can fill the admission form of the student containing all the details like : Personal and academic details, parents and personal contact details, with official details like, Academic Year, with their registration, roll number, class, section and joining date. After all the admission process, admin will create the individual login id for the students to access their system, they will share the login credentials of the same. Student List : This feature will provide all the student's information list. It will contain Register number, roll number, first and last name with contact number. ID Cards : The admin can create ID cards for different staff employees and students with this feature, it will help in creating instant ID cards with different entity like Faculty, student and non teaching staff. This feature will have mentioned different departments for the staff members and the option to create ID cards in two formats, Landscape and Portrait. Admin can create daily attendance of the employees and students through our interactive mobile app, also they can view weekly, monthly and yearly Attendance. Thus for the students attendance management, parents can supervise and monitor their children's attendance. Admin can view the attendance of each and every employee / staff by weekly, monthly or year wise through different Stream / Department. Admin can add the time table menu, also he/she can add and view different types of timetables, like Exam time table, School Events time table, Food menu time table, Class time table. Similarly, they can create the time-table for each and every academic activity this will help the students / staff in scheduling their time and can assign their time accordingly. In leave management system, admin can add different categories of taking leaves likes : Medical leave, Casual leave, Maternity leave, Education leave etc. Admin can see the list of leaves taken by the students / staff and also can approve the leaves applied for, if any by the students / staff. Also, admin have rights to check the total leaves taken and total leaves remaining of the employees. He/she can check daily, weekly and Monthly list of leaves taken by the employees. For the better understanding and student's guidance. Admin can create the Question bank list for all the different subjects allocated them to teach, it will also show the question type, the marks in which that question will be asked and the difficulty level if any, he/she can also add Exams with the Subject name, code, date of examination, total duration of the exam and can display the marks obtained by the students for the same in grading and percentage format,all the exam listing will show the upcoming and completed exams with their respective subjects, students can see all their results in grading or percentage format. Admin / Staff can also use the method of manual examination. Genius Edusoft also provides the feature of adding the details of all the manual examination taken by the teachers of the institute. They can set the different grading levels to the students, according to their performance in the exams, he/she can add grades, by different class, they can give the grades scored by the individual students name with minimum scored percentage, after setting the grading levels the teacher can assign different ranks to the students according to the grades they scored in the examination. They can add the name of the individual student, with the total number of marks scored in different subjects and the ranking level of the students of specific class and section. Likewise, they can also assign the class designation to individual students according to their performance. Genius Edusoft also provides the feature of creating the individual report of every student's exam performance results. Admin can create the brief exam report by adding the student's name, class, section, total marks obtained with grading and percentage format, it helps the parents to monitor their children's performance and get the result on mobile phones directly through our interactive Mobile app. Admin can add the different pay head, with pay head name and method of payment. They can also generate the payslip for the different months and year. He/She can manage the salary of each employee, with employee name, designation, pay head and amount paid to the employee as a salary. In short, admin can manage all the payroll activities of the institute with our Genius Edusoft interactive system. Admin can also see the employee salary list with all the details like : name, designation, year, month, payment type. After all this process of paying the salary to the employees, it can also generate dynamic salary slips, with designation of the employees. Thus, it can create reports for salary slips sent to the employees. Account Master : Admin can add the account master list, with Account name, Balance and group name, it will handle all the account related activities and also helps to view the account master list. Expense Master : In this feature, admin can handle and manage all the expense related activities of the Institute. This module will help in handling the financial budget of the Institute. Admin can add the expense master which will have the form to fill the details like : Expense master name, contact number, Email, GST details, PAN number, Opening balance, Bank Name, Branch Name, Country, State, city, pin code etc. all this details will create the expense master. Bank and tax Master : Similar to the above feature, it will be used for Bank related transaction and details, having bank name, branch, opening balance etc to handle the bank transactions, tax master will help in knowing the tax rate for different tax imposed on the Institute related activities. Account Management : Admin can handle the bank/cash transaction, by adding journal Voucher and Expenses for the Institute activities. Reports : Different types of reports can be created by admin in finance management through Genius Edusoft system like : GST Reports, Profit and loss, Balance sheet and trial balance reports, they can also add general ledger, Journal book and cash book to create the brief reports of the same. Fee Management : Admin can handle and manage all the fee related institutional activities, he/she can add the type of fee payment, with different mode of payment like cash, Cheque or visa cards, Fee Setting list will give all the details of the students who already paid there fees or of those students who haven't paid which will make late fees payment penalty, it will also show in which stream students are studying. Admin can also assign the fees head for different sections, the most important feature of the finance management is fees collection, when the student will give the fees to the school admin, it will add all the details like : Admission number or mobile number, with other details like stream, class, section and student name. After receiving and filling up the fees collection form it will show the fees paid status for the particular student. The feature will allow the admin to create student scholarship programmes which will help them in their financial aid for completing their education. Our Genius Edusoft system provides the optimized feature of adding the different academic events for the students through the event management module, the admin can add all types of events like : Sports day, Annual Day celebration day, Cultural festival day, Teacher's day celebration etc. They can also add and manage the public holidays of the year so that students and parents can be notified about the same. Admin can upload and update the latest photos of the events and picnic conducted by the Institute in Gallery, this will help the students to get their photos directly from the Mobile app and parents can also check out their children's photos from the Gallery module. This feature will help in creating different tasks for the Employees to complete them according to their set priority and assigned date, they can also add task name with proper and accurate description for the same. The admin can view all the Books issued, with book issue and Over due date in the Book Issue list. Similarly they can view the Book return list by going to the book return tab in Library Management, they can find the number of books returned in the past as well as the current issued books that are remained to be returned with their mentioned due dates to return. Vehicle : Admin can view the type of vehicle assigned with proper Vehicle number, Contact person, and Insurance renewal date, also they can see all the details of the vehicle which will help them to contact the driver or the institute in case of any emergency. Driver : Admin can add new recruited school drivers, the Genius Edusoft will provide separate form to fill the details of the driver which will include things like : Driver's name, vehicle number, Permanent Address, Date of Birth, Phone number and License number. Route: They can add, change and see the route that will be pre-defined, so that if there will be any change in the route of Vehicle it will directly send the notification about the Route change. Destination : Admin can add, change and view the number of destination from pick up point to the drop point. Vehicle Tracking : Admin can track the vehicle through Genius vehicle tracking system, also they can view the live location of the transportation vehicle by real time Genius GPS system. 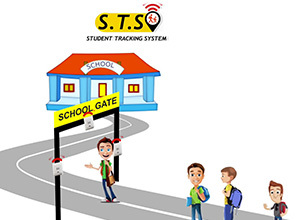 Genius Edusoft provides portable device which can be used for live student tracking. Admin, Teachers and Parents can track and monitor on real time basis through Genius cross platform system. Admin can view all the hostel accommodations and also can check the details of the hostel through Hostel Details. It will also show the resources that can be managed through the system and mobile app which make it more efficient and powerful. Also through Genius Edusoft they can see the routine Hostel canteen menu from the system and mobile app. This features allows the admin to create meetings with different agenda and proper time schedule through the day. It helps in checking daily meetings and managing the same efficiently. They can view all the list of meeting in meeting list, which will help them to know the type and the time of meeting of the same module. Genius Edusoft provides the unique feature of managing the canteen in the institute, from this module, the admin can handle the canteen menu and caterer's details. Which will help the admin in analysing the daily canteen food menu. Admin can add daily current affairs news posted for the staff and students through Genius Edusoft system. 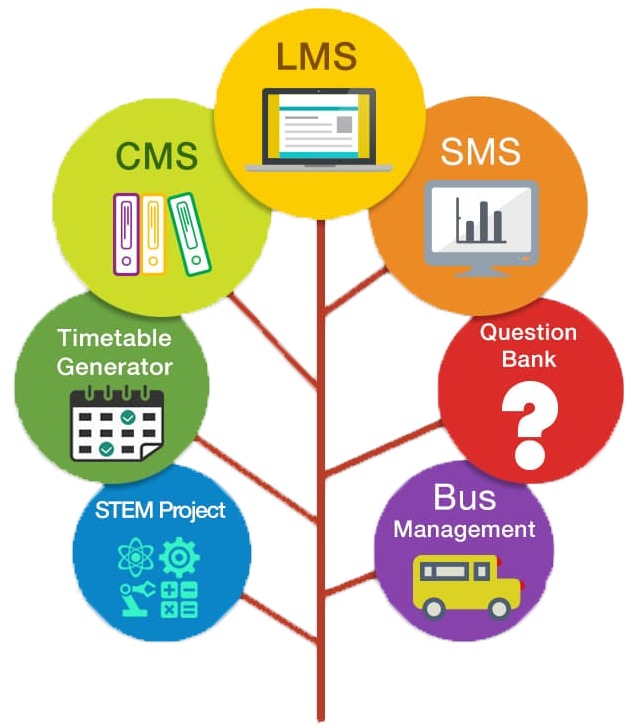 Genius Edusoft provides the feature of directly sending the message to the students / Employees from the administration, they can personally inform the employees and students about any updates, also parents can see or check the messages sent by admin or teachers with particular subject, date and message. Every unique user will have different rights to access the system. The Principal / Vice Principal / Supervisor, Teacher, Student and other non teaching staff will have different features specially designed for the particular use, according to their academic activities. The Admin / Principal will have the authority to change and manage the rights of every user. The admin system helps in constant changing of the institutional details, that needs to keep track of thousands of personal information data and must always be up to date. Thus Genius Edusoft will provide "Comprehensive solution and transformation of your educational institution." Administration can update their profile and their current profile photo using the Genius Edusoft system and Mobile App, also can manage their information through the user-profile menu. Genius Edusoft provides unique dashboard, where admin can manage all the daily academic related activities like : Fees summary, where he / she can check the total number of fees received and the remaining amount to get from the students. Admin can also view and check daily, weekly and monthly total number of students present and absent. Similarly, it also provides the list of teaching staff present and absent according to the different criterias. The system also provide the brief summary of Institute providing the teaching of different classes. Likewise, the admin can check the dashboard time-table which will display and helps in managing all the current events, meeting and academic activities. 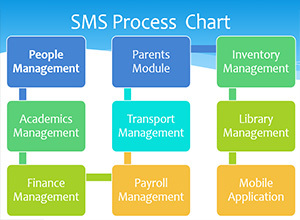 All these features are available in Ios and Mobile App which will help the Institute in saving upto 30% admin cost in all the operational activities, they can assign their daily tasks through the mobile app and Ios version, which will help the employees and teachers in making communication better with the admin, also it will help in building strong relations. All the key aspects and modules of an administration are encapsulated at single platform. It can Create, Manage and Maintain all the Accounts, Management, Surveillance, Finance or any other admin department work and can efficiently complete their work-tasks from Genius EduSoft system. The system have modules from admission management to HR and Payroll management all at one platform. It is beneficial for an institution to operate all the functions effectively and creates cost-effective system. Comprehensive solution for each and every module of an institution. Cost-effective metrics give better results in terms of manpower and money. Get connected to every person associated with an institution. An easy way to manage Inventory for administration. Administrations can manage admission process easily with the one-access digital system. Schedule and arrange Salary Disbursements for a heavy amount of work-force. Create, Maintain and View Employee Salary slip, send Reports, Upload and Download other documents. Administration can view all types of Accounting and Financial Reports. 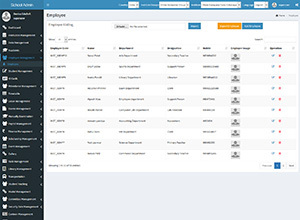 Complete integrated HR module with Payroll and Finance management.